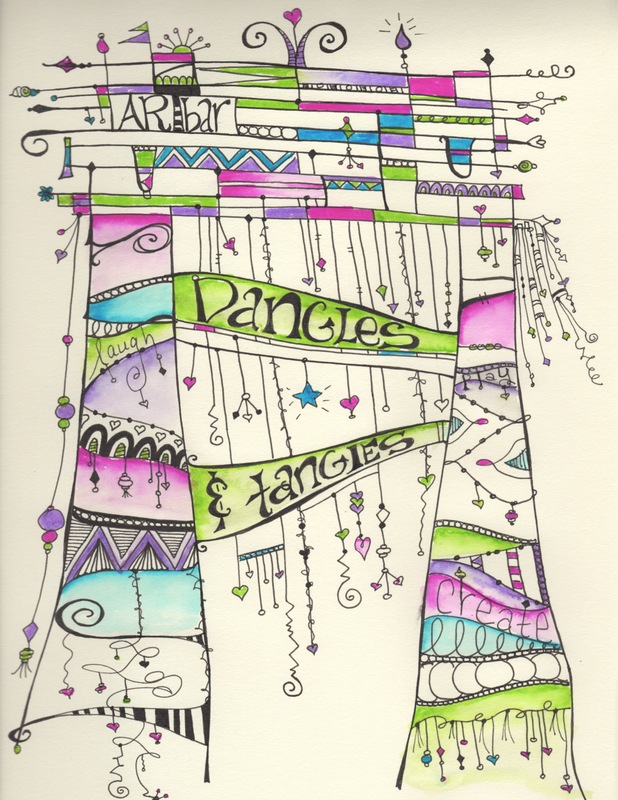 If you've taken this particular Dangle & Tangle class with us already and just want to come and practice, then bring along your own supplies and come create for this special "repeater" price! (4 hours of studio play time!) Sorry - this price does not apply to graduates of other classes, such as Zentangle. plus Monograms and more . . .
$49 - includes some goodies to get you started! You'll leave with a piece of framable artwork, plus the inspiration and techniques to make many more, including monogram letters and cool designs for quotes (which make awesome gifts and notecards).